Jenn Stark - Urban Fantasy and Paranormal Romance » A Cover for ACES WILDE! A Cover for ACES WILDE! 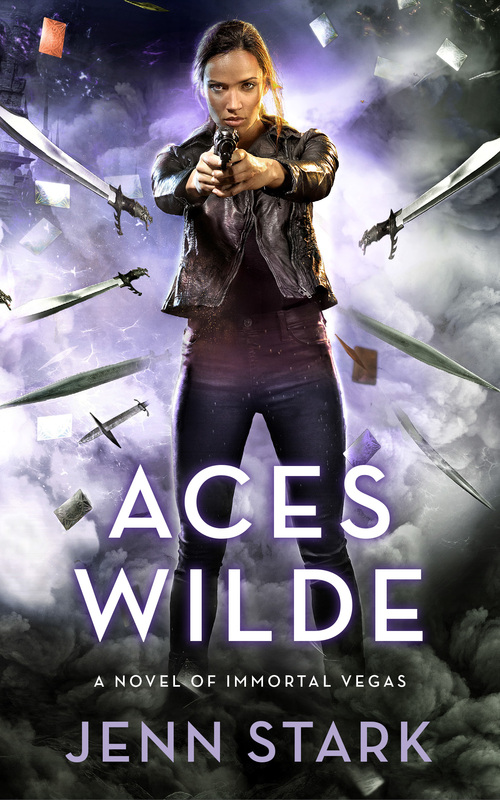 I’m so excited to share my cover for ACES WILDE. I’ll be adding it to all the retailers over the next few days but I had to reveal it here first because I simply can’t wait! Isn’t it beautiful?? I feel like such a proud parent of awesome. 🙂 Special thanks to designer Gene Mollica for bringing my vision to life in such a spectacular way!! Primarily I am a fan of vampires & werewolves books,I also love urban fantasy. I have ordered & read every one of your Immortal Vegas series & have found them fascinating character wise with well written plots. I found myself forced to read them all in a row. Good job!! Keep this series coming!! Loved the Aces Wilde cover. This series is awesome. i’ve read all the books and waiting for the next one. Thanks, Jonnie! I am so glad you’ve come along on Sara’s adventures!